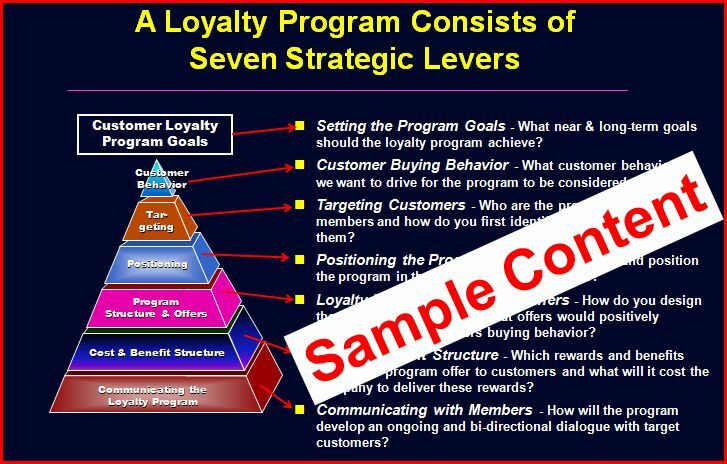 The content of this blog is a customer loyalty toolkit containing a host of loyalty program development ‘how to knowledge’ including best practices, project plan, business case, pros/cons, customer loyalty definition, customer loyalty benefits, loyalty program communications plan, loyalty program change drivers and loyalty program development lessons learned. 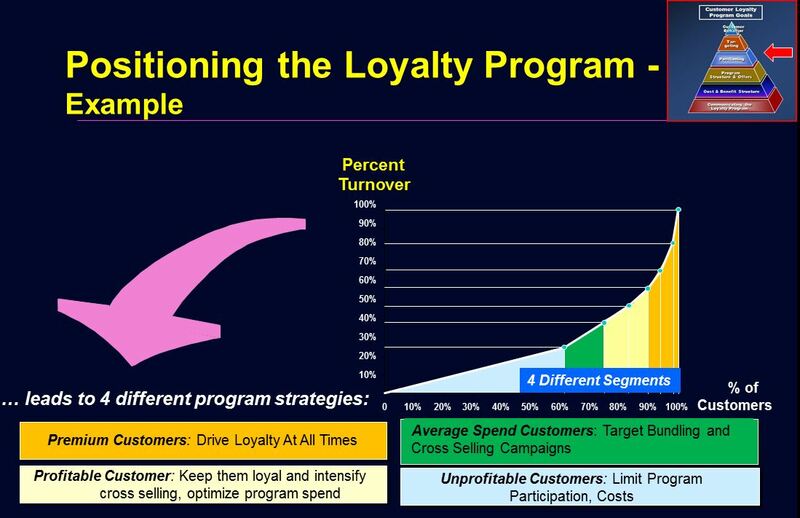 The market is currently saturated with customer loyalty programs that are either marginally effective or that actually represent an inconvenience to the very customers they are trying to retain. 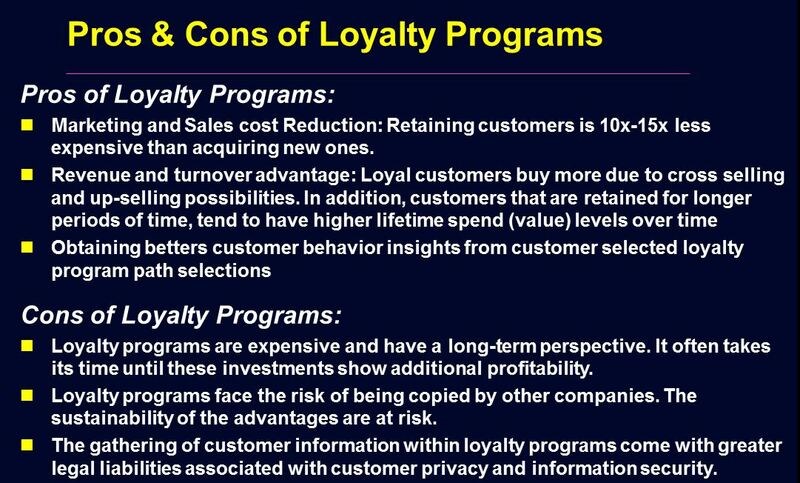 If you are even thinking of launching a loyalty program, consider the Ten Commandments of Loyalty Programs listed below. 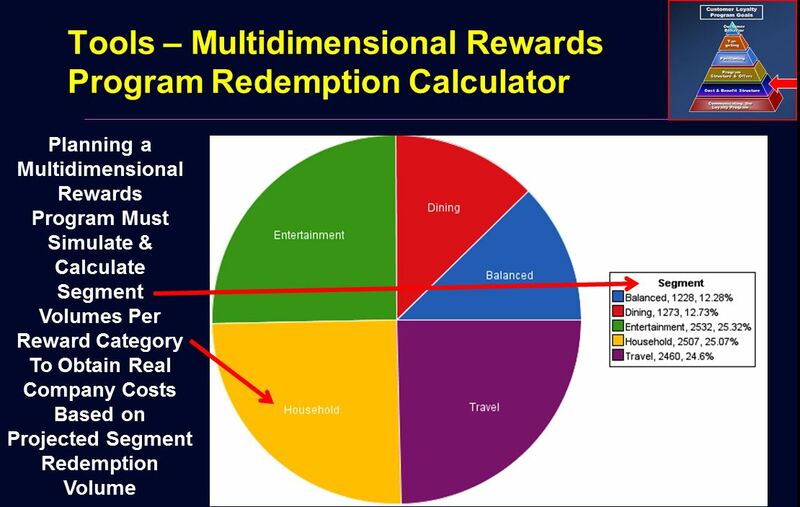 The rewards from the loyalty program must be so super-simple to redeem, the customer can do it without any unnatural and inconvenient steps: finding their card, remembering their rewards number, etc. 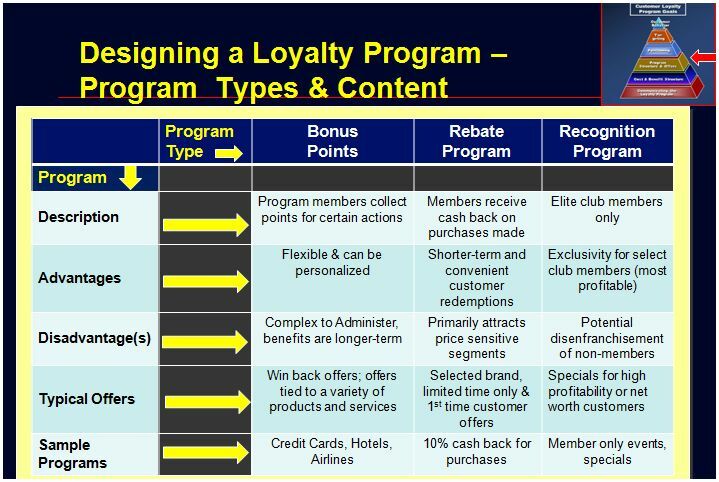 The rewards from the loyalty program maximize customer choice for redemption: Cash back, points with cash payments, merchandise, travel, buy points, donate points, transfer points, etc. 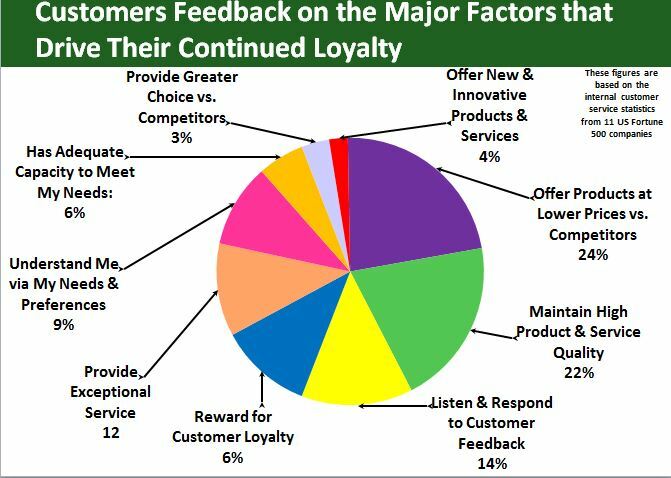 Top Tier Customer loyalty achievers for each year are recognized in special ways: Meet with company CxOs to get their feedback; special in-person awards ceremonies, extra unannounced super-perks the following year, etc. 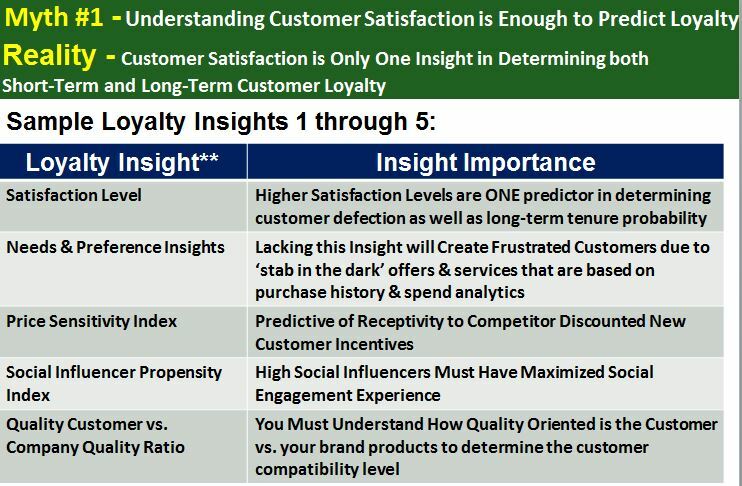 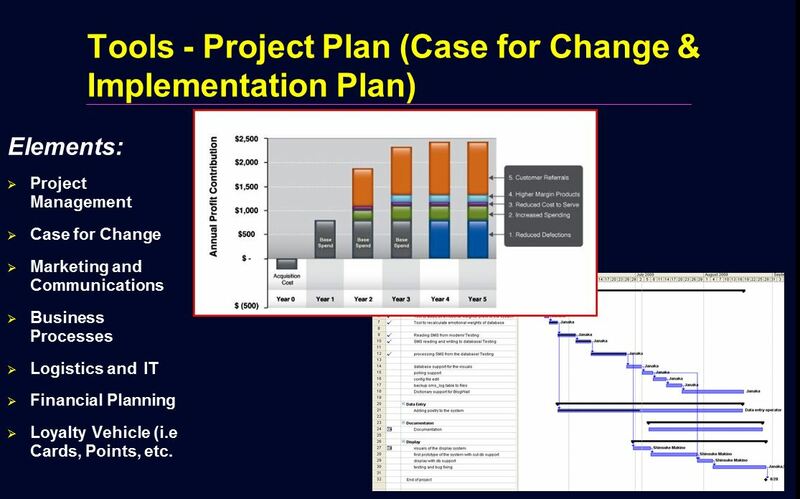 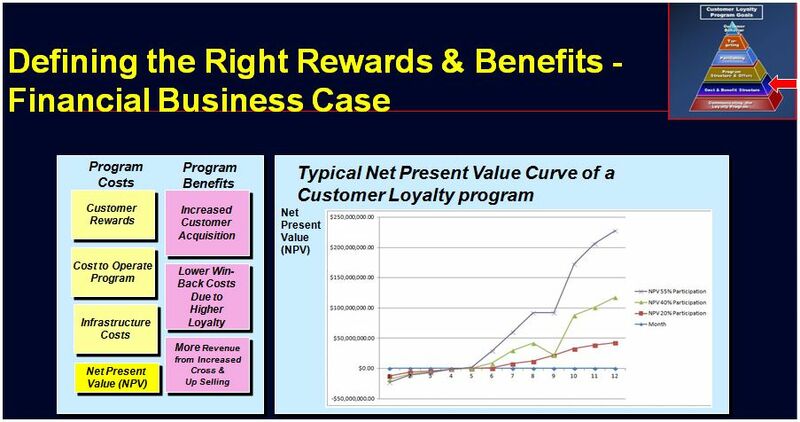 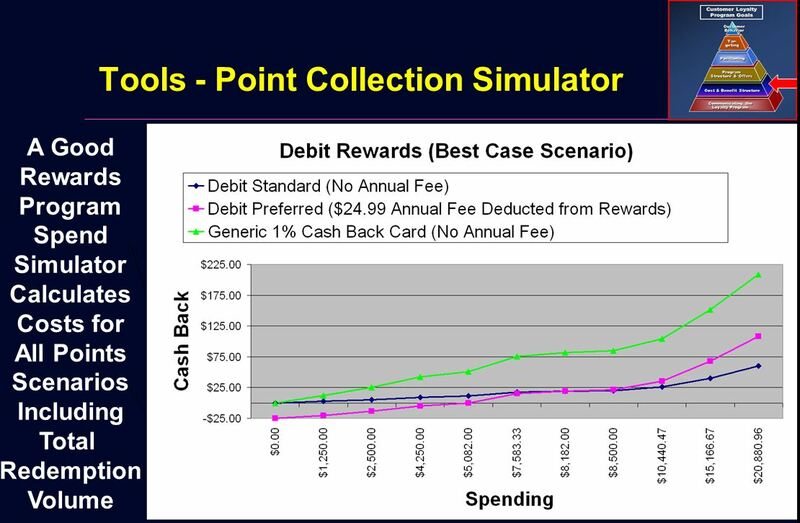 Any loyalty program should not even be considered without first leveraging Advanced Predictive Modeling Techniques (APMTs) to determine an overall program cost estimate. 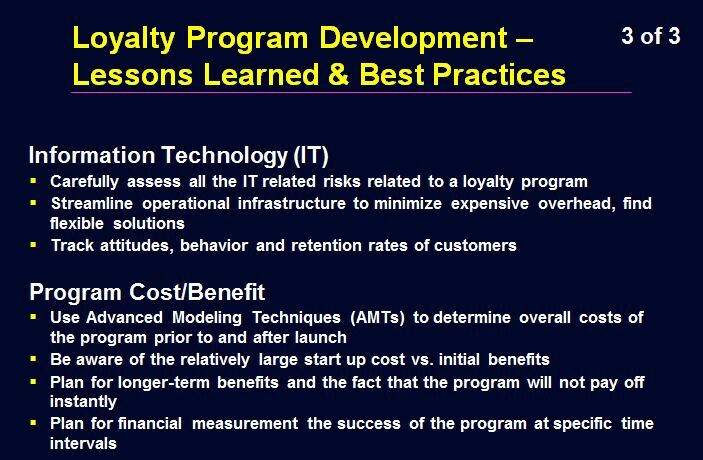 These APMTs tend to be much more responsive and accurate, quickly reflecting the impacts of all available information on the program liability. 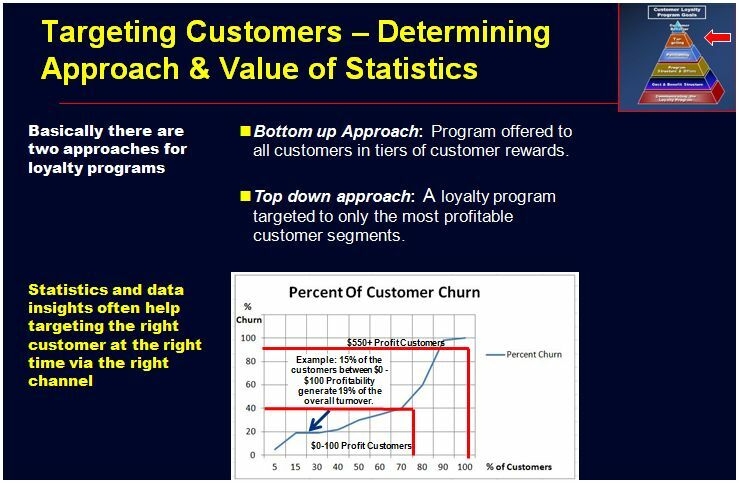 Without this APMT component, the program must be cost prohibitive and drive your product/services costs up to unsustainable levels. 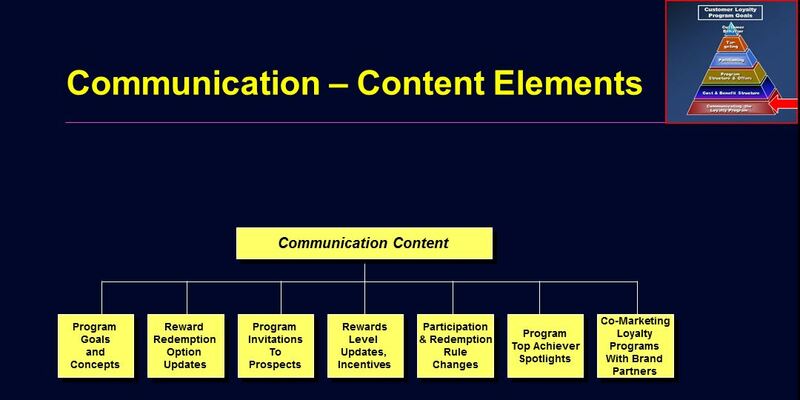 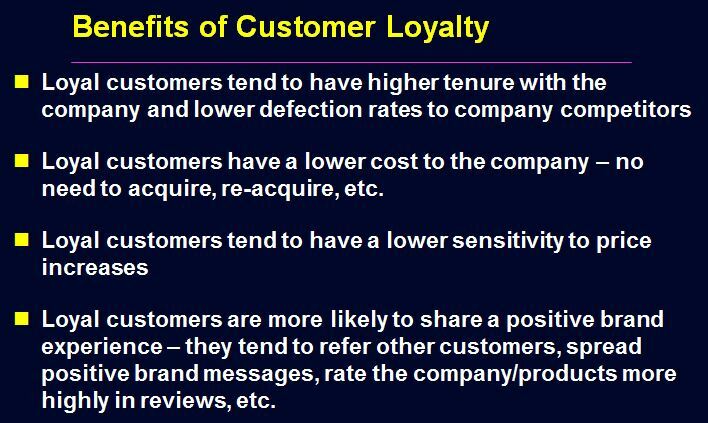 The loyalty program must enable communications with its members via the member’s communication channel of choice without burdening members will annoying and redundant member information requests. 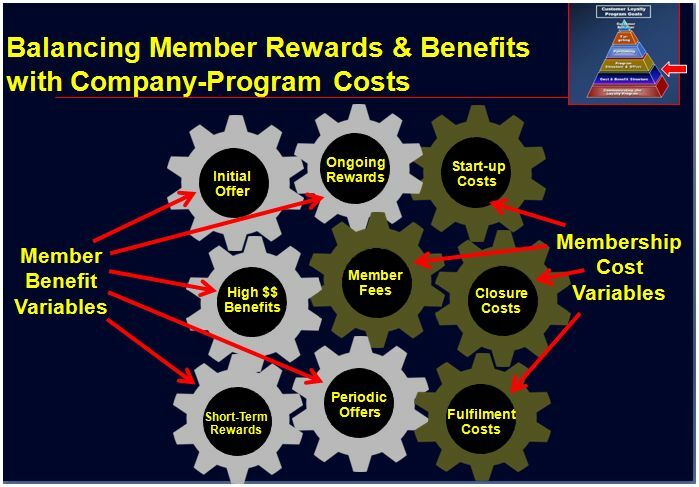 The loyalty program should encourage family company loyalty to the extent of top market leaders (USAA insurance for military service members) such that rewards can be transferred to family members, left to family members after death, allow entry at preferred reward program loyalty levels for select family members of top earners, etc. 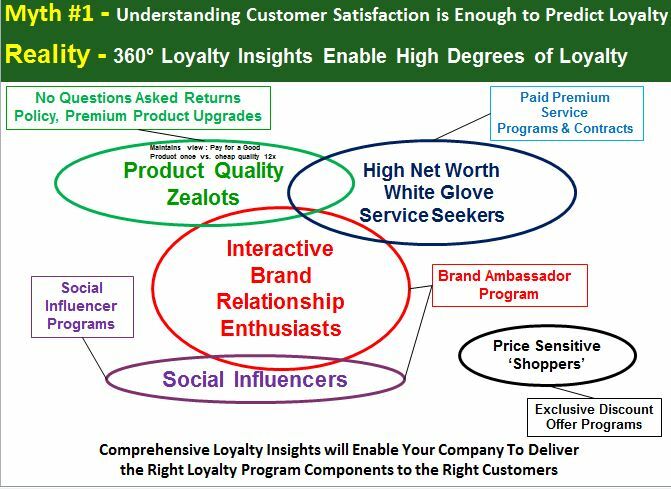 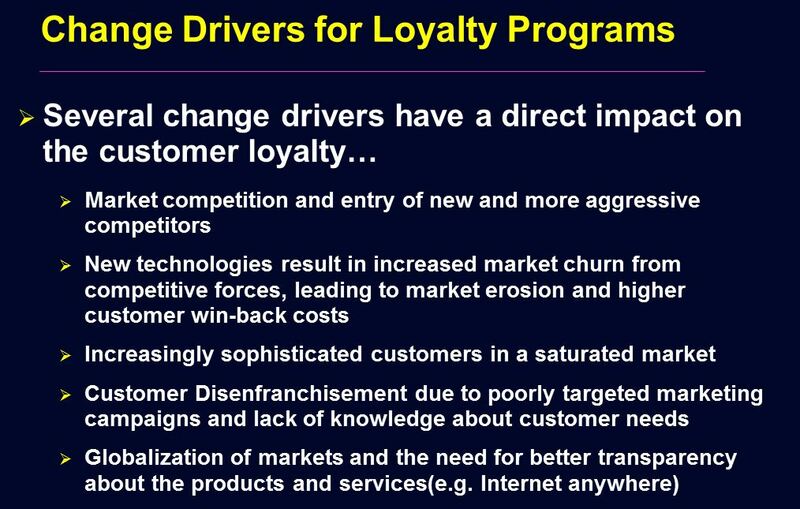 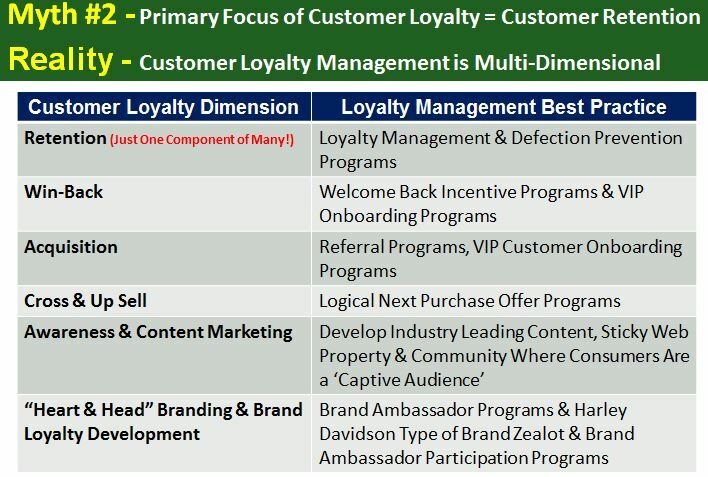 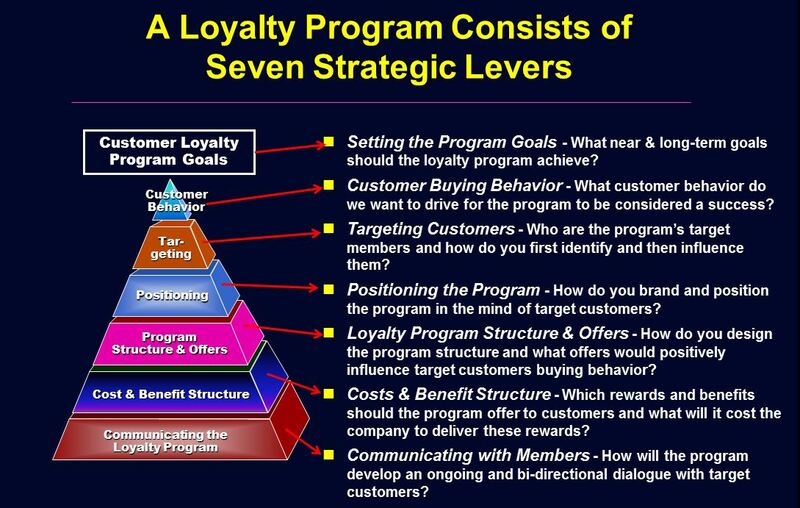 Any world-class loyalty programs that I have helped establish and/or evolve at Macy’s, Bank of America, Wells Fargo, Starwood, Marriott, and American Airlines ALL contain (at least, as a common denominator) the above seven (7) strategic levers as part of their loyalty program. 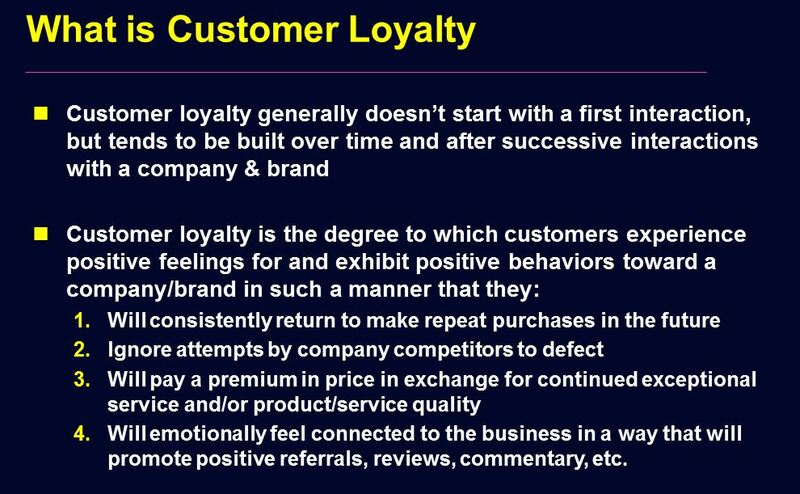 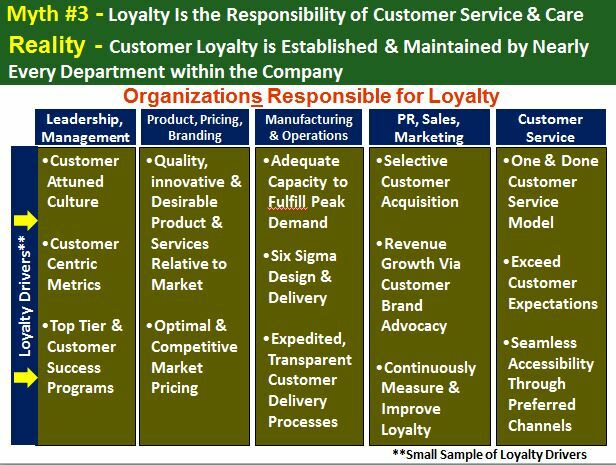 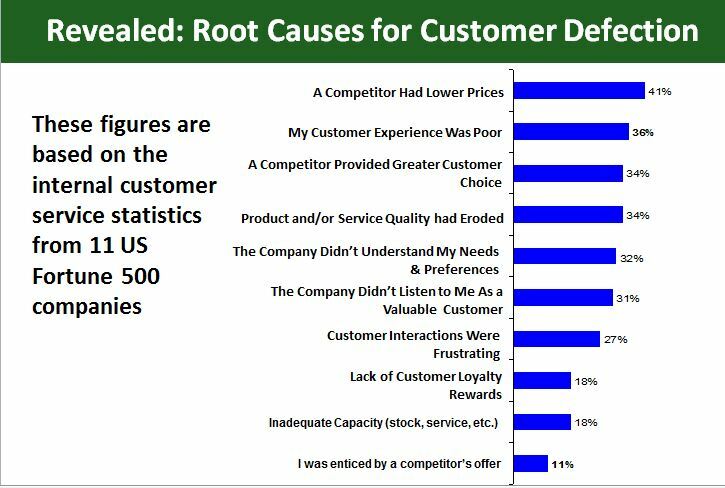 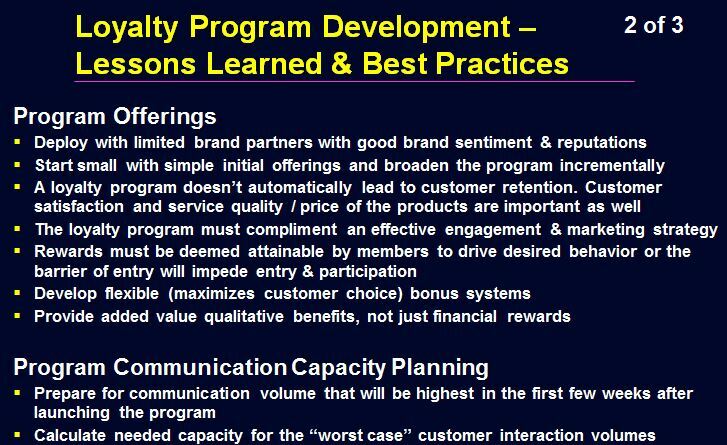 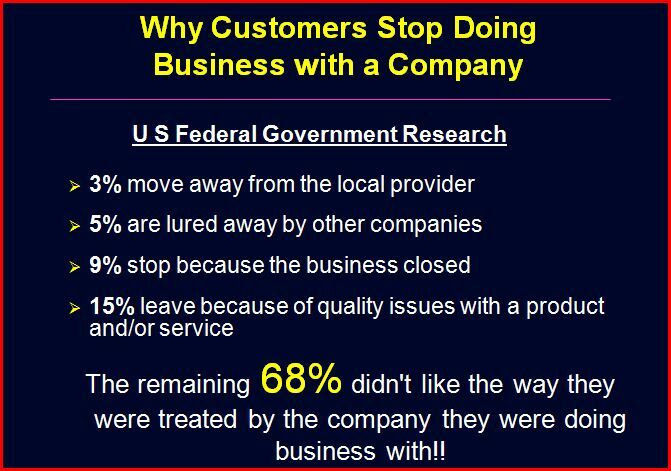 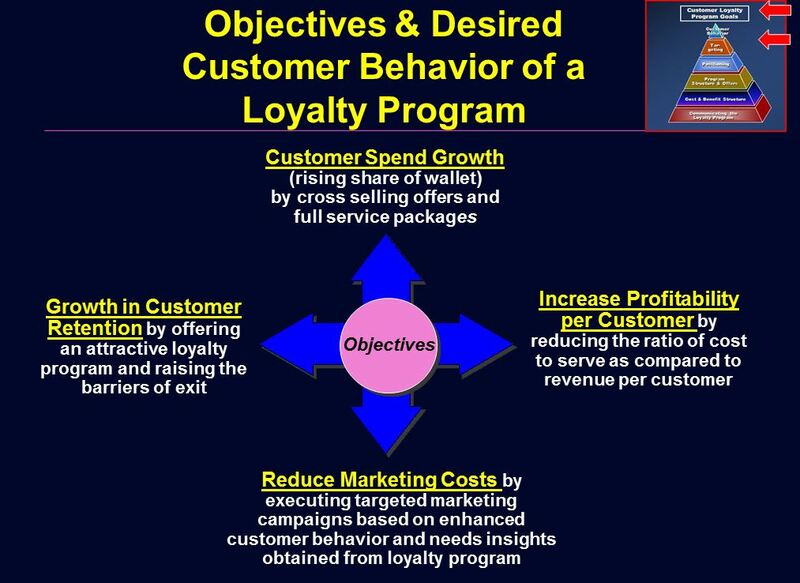 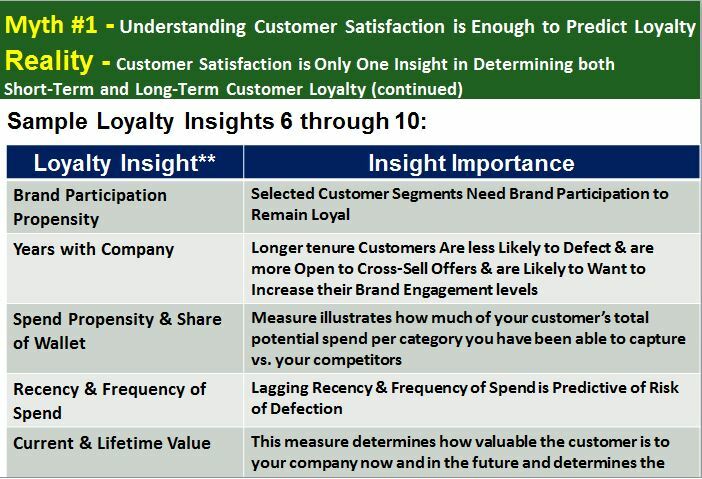 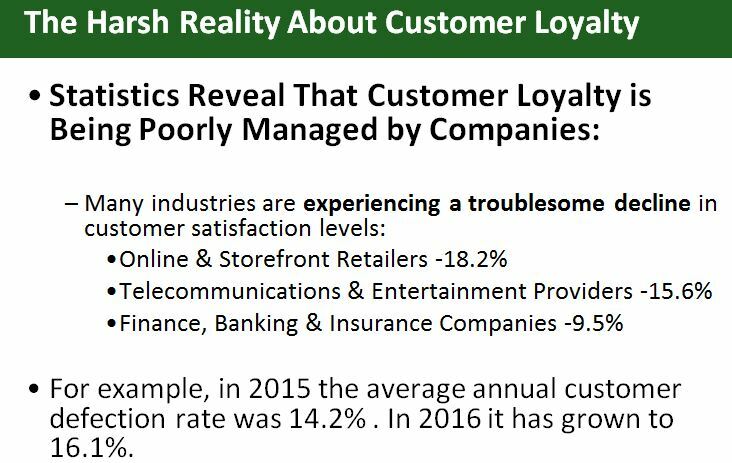 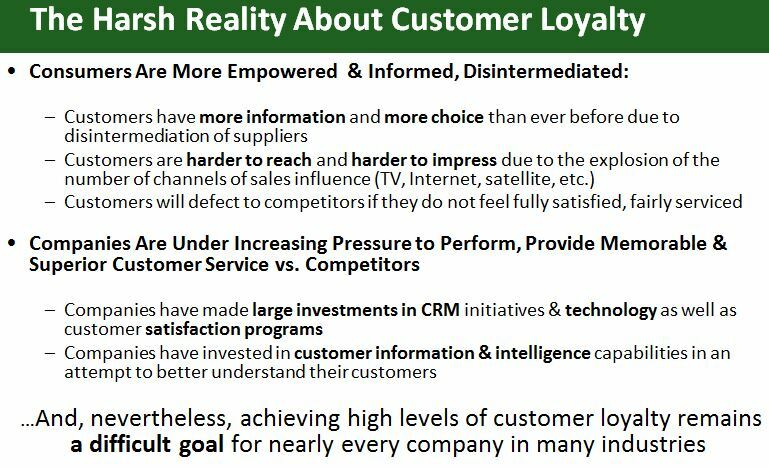 Bottom Line: If you are ever considering implementing a customer loyalty program, please take the above lessons learned and best practices into account as these were all developed after having successfully implemented several of these loyalty programs at Fortune 500 companies across the globe.